The Southern African Wildlife College (SAWC’s) K9 Unit won a prestigious Kudu Award at a gala event at the Gallagher Convention Centre in Gauteng on 16 November. They shared this honour with the Meerkat Project, a high tech surveillance operation in the Kruger National Park. Both projects were recognised for their innovation and results in countering poaching. 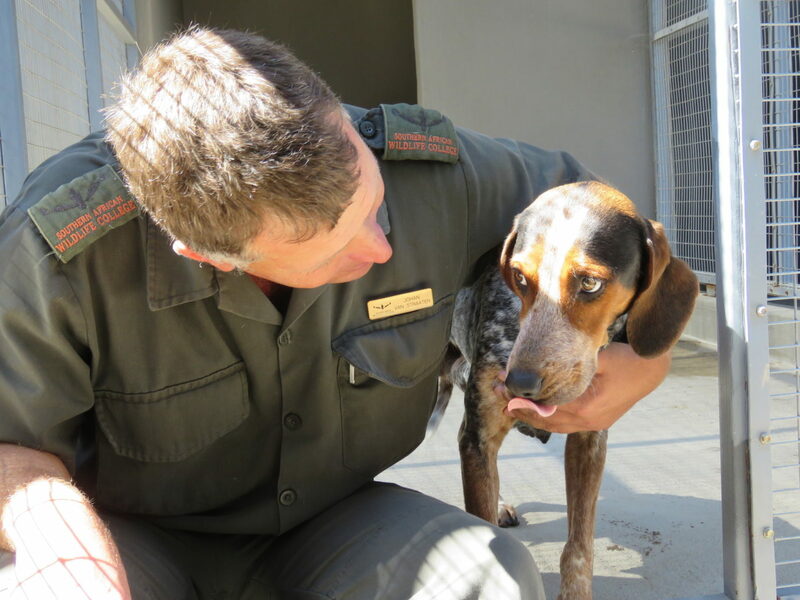 Since February 2018, the College’s K9 Unit has been involved in more than 70 deployments in the Greater Kruger National Park where 61 poacher arrests have been made and 25 rifles have been pulled out of the system. The K9 unit reached new heights this year with the addition of 20 free-running pack hounds from Texas, USA. The pack dogs successfully apprehended their first suspects in collaboration with SANParks within days of their arrival on South African soil, immediately proving highly effective in live operations. The Kudu Awards have been developed as a way for the management of SANParks to thank external stakeholders for their contributions to conservation, understanding that it will always be a collaborative effort. “This award affirms that the College is playing a critical role in forging new approaches to counter poaching. 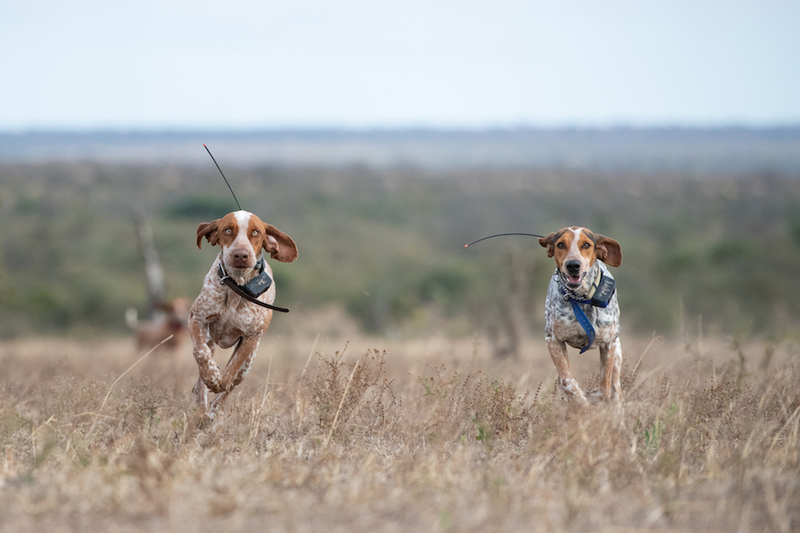 Through our ‘learning by doing’ approach, we’re supporting live operations, but also boosting capacity in the sector throughout SADC by training dogs and handlers”, said SAWC CEO Theresa Sowry. Since the K9 unit’s inception in 2015, the College has been at the forefront of meeting the demand for well-trained dogs and handlers to help combat wildlife crime, which it has achieved through training rangers (handlers) and dogs in the disciplines that are not currently being offered elsewhere. In addition to the specialised off-leash tracker dogs, the College also trains incursion and detection dogs. Dog Master Johan van Straaten with one of the dogs in the SAWC’s K9 unit. Sowry also thanked all partners and donors, including the WWF Nedbank Green Trust, International Fund for Animal Welfare (IFAW), the Ivan Carter Wildlife Conservation Alliance, Our Horn is NOT Medicine, Orijen and Acana (Pack Leader/Champion Pet Foods), Rogz, Garmin, Unite Against Poaching, Dallas Safari Club Foundation, SafariFrank, WildArk, Friends of African Wildlife, SA Hunters and Game Conservation Association, Pruett Foundation and numerous individual donors contributing to the establishment of the unit as well as additions to infrastructure, security and running costs. In addition Joe Braman (who bred and trained theTexan dogs) and other donors such as the Ivan Carter Wildlife Conservation Alliance, SAA Cargo and Global Paws were instrumental in supporting and contributing towards bringing the two game changing packs of dogs from Texas. Off lead pack dogs in action.